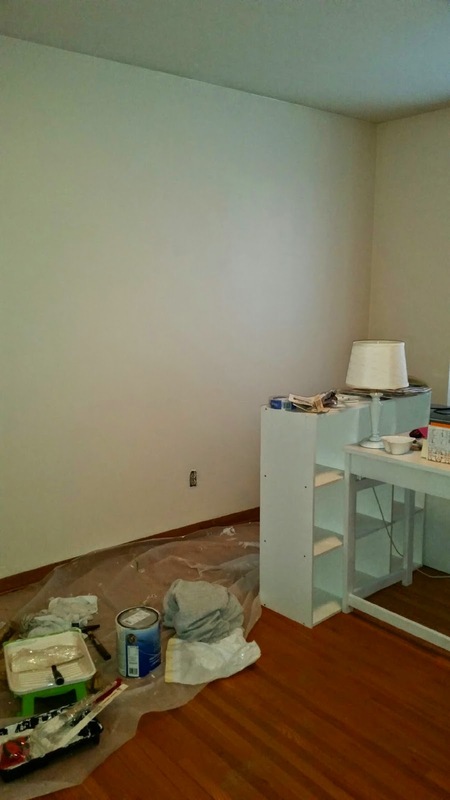 Quick update on my mom's office: paint is on the walls, so the hard part is over! 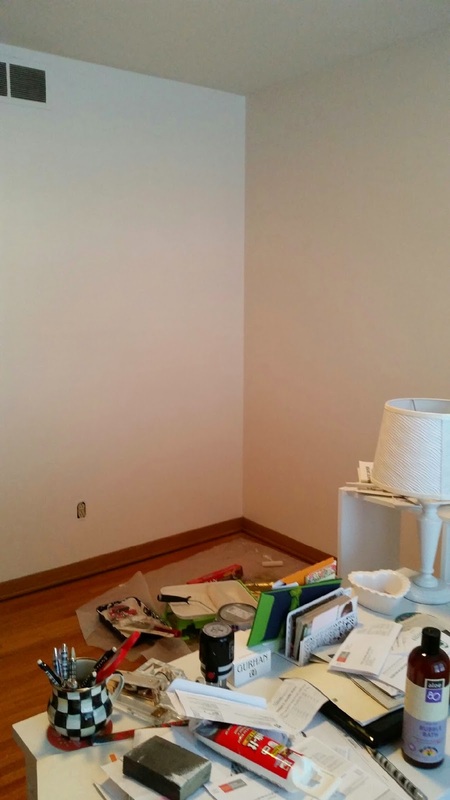 She followed our office style and painted her walls the Sherwin Williams Posy (70% of the color - don't forget you ask them to use a percentage of the color). Also, if you decide to give this color a try, don't freak out that it's on a paint swatch with oranges and browns - I got a call from my concerned mother when she was buying the paint! If you don't know the level of color you want, remember that they can always add more. My mom originally had them put in 40% of the color and then went back to increase it to 70%. I snapped a couple quick pictures when over at her house for family dinner to share with you all. This weekend we are going to work on putting it together with fun touches. 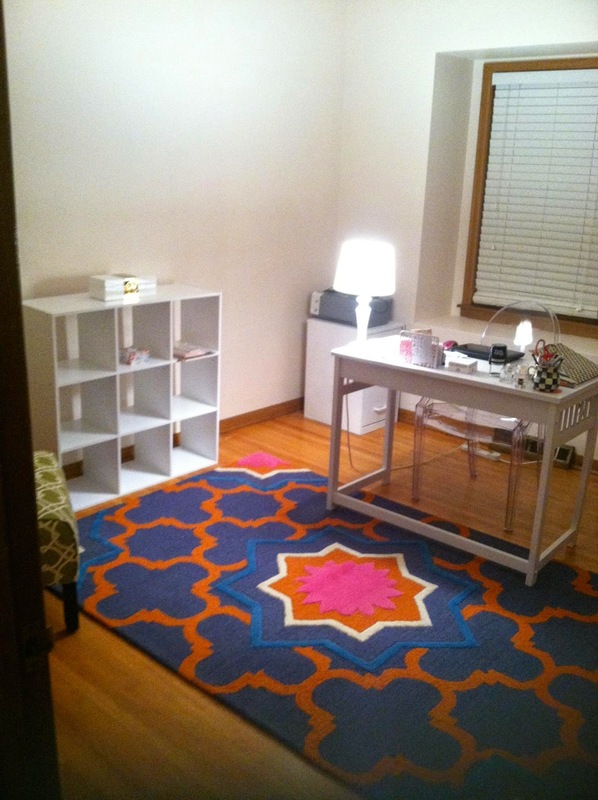 We still need to figure out a larger desk situation and new light, but those will come with time. This Saturday when we get further on decorating, I will take more pictures using my camera. Excited to get to work on it!